automatically with the help of powerful AI and analytics. Getting the most value from your Duck Creek solutions includes seamless connectivity to best-in-class peripheral systems and services. 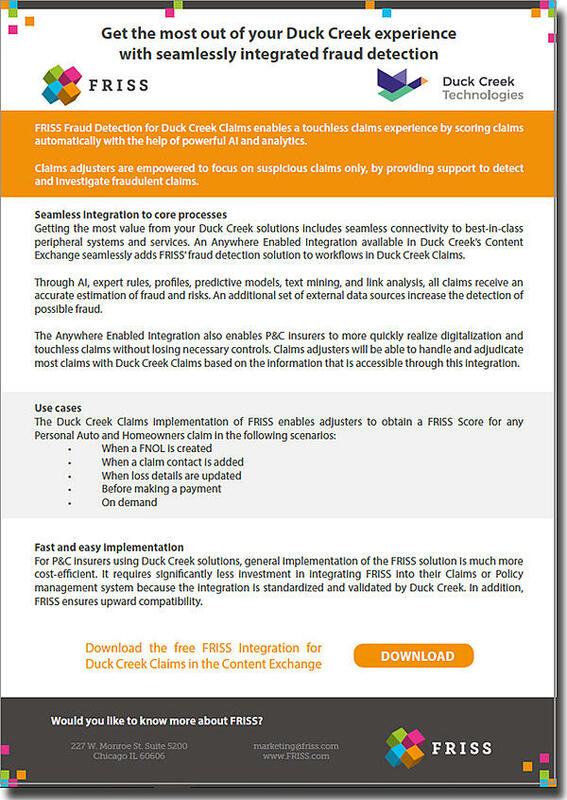 An Anywhere Enabled Integration available in Duck Creek’s Content Exchange seamlessly adds FRISS’ fraud detection solution to workflows in Duck Creek Claims.